Two foreign airline companies have begun offering steep discounts to Cuban migrants–set for border crossing into western Texas–as thousands rush to the United States in the aftermath of thawing relations with the communist island. Children under age 11 fly free of charge. 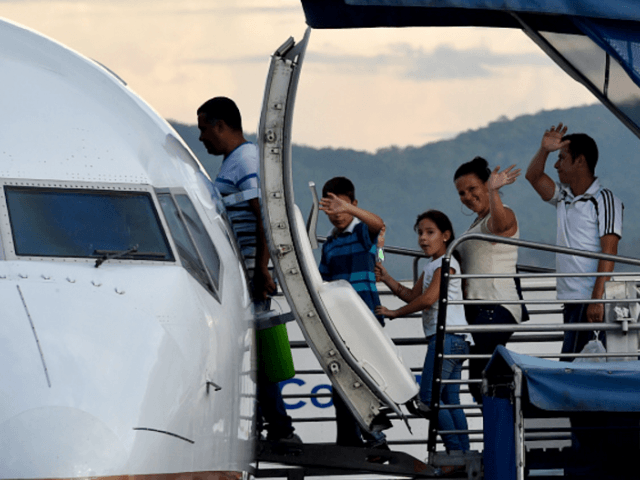 The Panamanian government confirmed to the Associated Press Wednesday that Panama City-based Copa Airlines and Mexico’s Global Air are now offering roughly 30 percent discounts for adult Cuban migrants hoping to cross into the United States with children enjoying complimentary seats. Since May 9, the airlines have reported that almost 2,500 have been shuttled to Ciudad Juarez for easy crossing into El Paso thereafter. An estimated 1,300 await flights booked in the weeks ahead under the promotion. Reduced airfare is only the latest in a chain of opportunities provided to Cubans arriving in El Paso. Breitbart Texas previously reported that a local charity effort affiliated with the Catholic Church, Diocesan Migrant and Refugee Services, has been coordinating air passengers’ arrival to the Mexican border city with arrangements to connect Cubans to temporary family housing in El Paso and public assistance navigators at the ready for enrollment into Texas’ welfare programs. Temporary Assistance for Needy Families (TANF) and Medicaid benefits are made immediately available for new arrivals under state law. The latest wave of migrants has largely been attributed to fears that the preferential treatment offered under the Cuban Adjustment Act of 1966 could soon come to an end as the Obama Administration works to re-establish ties with the Castro regime. The Cold War policy allows fast-track naturalization after one year of consistent residency with welfare benefits available before then. The Diocesan Migrant and Refugee Services claim that 80 percent of migrants leave El Paso for Colorado, Michigan and Florida. A separate Breitbart Texas report notes that roughly 40,000 have relocated from Cuba to the United States via Central America in recent months. Despite the preferential treatment that waits after bridge crossing in El Paso, significant numbers of migrants claimed to lose patience with the standard process and paid cartel-affiliated human smugglers for assisted illegal entry. The AP notes that the significant reduction in airfare came as a result of complaints from high costs. Nicaragua and Costa Rica have closed their borders to the migrants, delaying their journey further.